Following the launch of T-Mobile’s Magenta Friday deals last week, Metro by T-Mobile has announced a Black Friday deal of its own. For a limited time, Metro by T-Mobile is offering a free pair of Apple AirPods when you switch, sign up for an unlimited LTE plan, and either buy a qualifying iPhone or bring your own iPhone. If you decide to buy an iPhone from Metro, you’ll need to purchase an iPhone 6s or newer to qualify for the free AirPods. 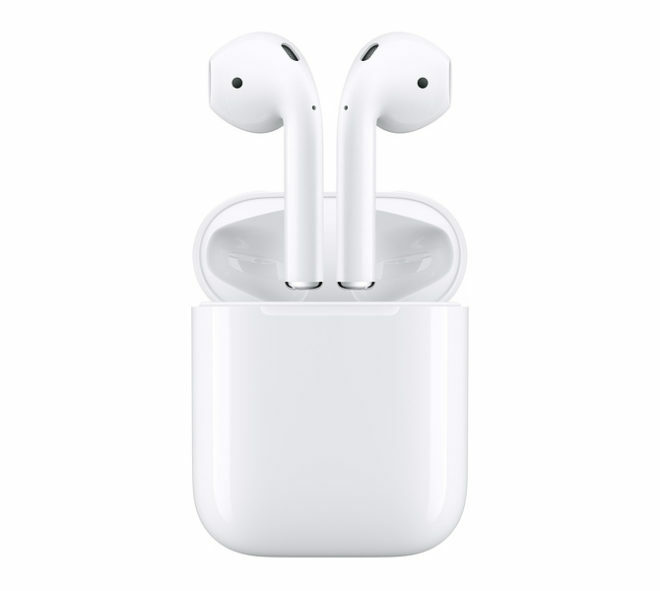 Apple’s AirPods normally sell for $159, so this free AirPods offer is a pretty nice deal for those who’ve been thinking about jumping to Metro. Metro by T-Mobile is also offering discounts on its iPhone models. All iPhones, from the iPhone 6s to the iPhone XS and iPhone XR, are eligible for a $150 instant discount for customers who switch to Metro and sign up for an unlimited LTE plan. For the Android fans out there, Metro is offering the Samsung Galaxy A6 and LG Q7+ for $99 to customers who switch to Metro and sign up for an unlimited LTE plan. Existing customers can get a Buy One, Get One deal on Android phones under $299 when they add at least one line on an unlimited LTE plan. These deals will be available in Metro stores from November 22 through November 26. Is the plan 50 or 60 dollars? False. The $50 plan works fine. What you’re reading is to get the other perks, Prime etc. Says this right by the ad . By mail. When you switch and get an unlimited LTE rate plan on select iPhones. screen over 6″, HD or better, 128gb(heck, not even 64), 4+ ram, NFC, Band 71, USB 3. Not even w/ some lowered specs(w/o removing the others!) to 5-3/4″, 64&3gb,USB 2. Niente, nada, tipota, mefish, rien. Especially because the grandfathered $50 Unlimited mandates Metro-sold phone ONLY(or it disappears forever…not even T-Mo phones allowed). T-Mobile needs to do the same for their non-flagship section, but without any lowered specs, since their models are priced higher than at Metro. Likewise the large manufacturers need to step up their game on their own, and make such unlocked versions( with unlockable bootloaders!). LG, Samsung, ZTE, Alcatel, Moto, Kyocera, Huawei, etc. have all made phones for USA T-MO & Metro before…and know full well the latest trends and requirements, yet not even any of their independent models will do for porting over.